She was appointed by Governor Linwood Holton to the Consumer Credit Study Commission; by Governor John Dalton to the Advisory Committee on Furnishing and Interpreting the Executive Mansion; and by Governor George Allen to the Board of Trustees of the Virginia Museum of Natural History. She served as Chairman of the Roanoke City Arts Commission and was an active member of the Roanoke City Sigh Ordinance Committee. She also served as the Roanoke Valley Coordinator for the Virginia Bicentennial Commission. During the 1970’s ’80s and 90s , she created and directed advertising for over 80 local, state and federal Republican political campaigns. She received the American Advertising Federation Silver Medal Award in Roanoke for contributions to the industry and community, the first woman to receive the honor in Virginia. I got to know Mamie through Molly Koon through Facebook. We had similar political philosophies and she would often give a “thumbs-up” on my Facebook posts including something I posted earlier this week, so hearing of her death was a shock. There’s even a recipe from Mamie Vest for “Mamie’s Walnut Pumpkin Pie” with the added note from Mrs. Dalton, “Mamie Vest has won prizes with her recipes. She has worked on most of John’s campaigns.” I didn’t know Mrs. Vest in those days when I was fresh out of high school and working in Richmond but these days she and I are Facebook friends which proves it certainly is a small world. “Thanks, Lynn. 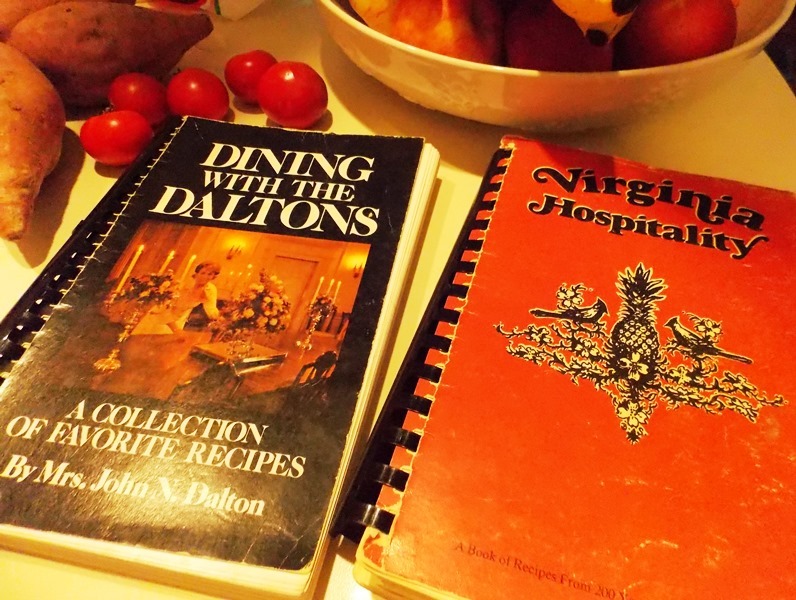 I worked with Eddy to design and produce two Dining with the Daltons cookbooks; the first (black cover) while Dalton was governor and the second (red cover) after he left office. The second one included many photos of events at the Mansion and recipes from those who enjoyed the first cookbook. Collector items now! Mrs. Vest’s photos of her farmhouse and beautiful flowers in Floyd, her little piece of paradise, graced her Facebook page throughout the years with the rolling hills and mountains of southwestern Virginia showcased for all to see. So today it is with sadness that I remember Mrs. Vest and yet feel a sense of gratitude for all she did throughout the years to help a floundering and struggling young Virginia GOP gain a foothold in the early years, and make history with GOP governors named Holton and Dalton. Rest in peace, and thank you. In 2005 when Chuck Slemp was driving gubernatorial candidate Jerry Kilgore to political events around Virginia, the University of Virginia at Wise graduate with the engaging personality and friendly smile had a goal. His plan was to attend law school and return to Wise to open a law office and serve the citizens of southwestern Virginia. Now ten years later, Chuck’s dream came true and he is a successful and established attorney with law offices in Wise and Pennington Gap. Married, he and his wife have two children, and he has a new goal: Commonwealth’s Attorney. His campaign is in full swing as he and his team of volunteers work toward election day. This week Chuck’s old boss will be in town to help. Former Virginia Attorney General Jerry Kilgore will headline a fundraiser dinner on Thursday, October 1, at the Inn at Wise. The names of Republican officials who have been invited read like a who’s who and include Delegate Terry Kilgore, Senator Bill Carrico, Senator Ben Chafin, Delegate Todd Pillion, Delegate Israel O’Quinn, Delegate Will Morefield, and Delegate Jeff Campbell. Thursday’s event will be the place to be in southwestern Virginia. 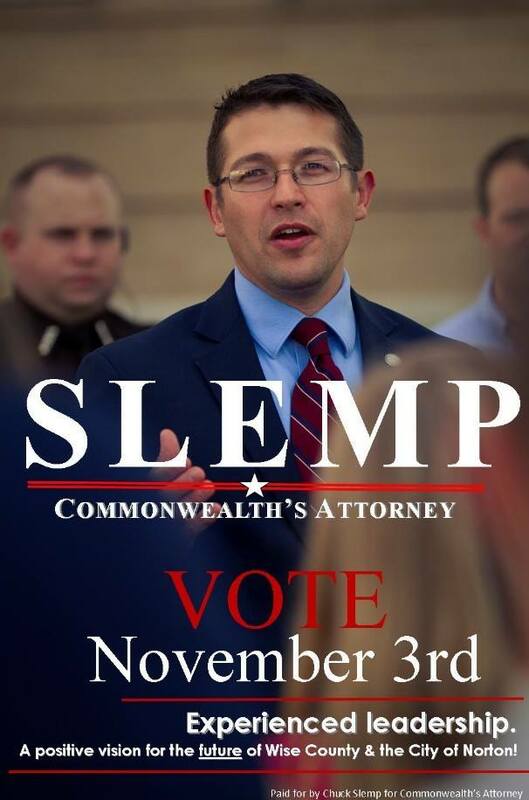 See also Chuck Slemp to run for Wise Commonwealth’s Attorney. Java With Jeb. Billed as coffee and conversation with Jeb Bush at Bristol’s Birthplace of Country Music Museum, it’s the kind of team effort from a top-tier presidential contender that is welcomed by Virginia Republicans. The former Florida governor will headline a Thursday fundraiser for the Virginia Senate Republican Caucus. As Shaun Kenney noted at Bearing Drift, “[GOP 21st senate district candidate] Nancy Dye has to be pleased. More to the point, this is the sort of team rally that candidates ought to be doing, especially in states where early support matters.” Dr. Dye is in a three-way race with Democratic incumbent John Edwards and independent Don Caldwell. Governor Bush is paying attention to Virginia and has ties that make those connections even more important in this battleground state that has gone blue the past two presidential elections. President Barack Obama won by 6.3 percent of the vote in 2008 only to see that margin shrink to 3.88 percent in 2012. A Republican could win in 2016. Bush has friends in high places in the Commonwealth — former Lieutenant Governor John Hager whose son Henry is married to George W’s daughter Jenna, Ed Gillespie who was right-hand man to President George W. Bush and former chairman of the Republican Party of Virginia, Kay James who was a member of the George Allen and George W. Bush administrations, and Eric Cantor whose influence and connections run throughout not only Virginia but to the highest levels in D.C. and beyond. The road less traveled is usually the one I will take when exploring the back roads of Virginia because life happens on the back roads. 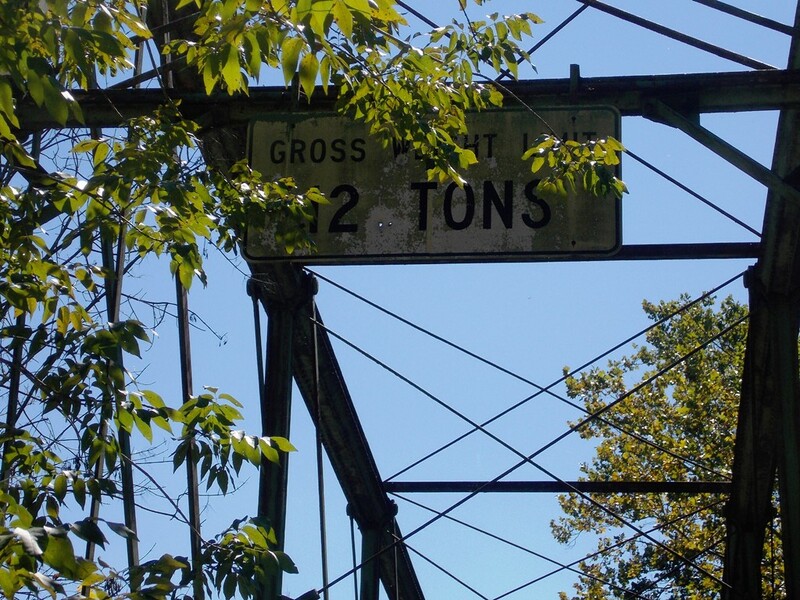 That is where you will find abandoned bridges like this one in Bland County — the old Route 61 truss bridge over Wolf Creek at Rocky Gap (intersection of Rt. 61, Rt. 52, and I-77). The road is blocked by guardrail that is now graffiti-covered and the area was very overgrown on the mid-September day when we happened upon it. Wary of snakes, I didn’t go past the roadblock but if we’re back that way in winter, it would be interesting to explore the bridge since it is noted on Bridgehunter.com as open to pedestrians. It was in amazingly good shape with no rotting boards. Bridgehunter also noted the bridge was built as a railroad bridge in 1890 and opened to vehicles in 1946 when the railroad was discontinued. It was abandoned in 1987 when the road was straightened, behind where I stood to take this photo, with a concrete bridge that allows two-way traffic. 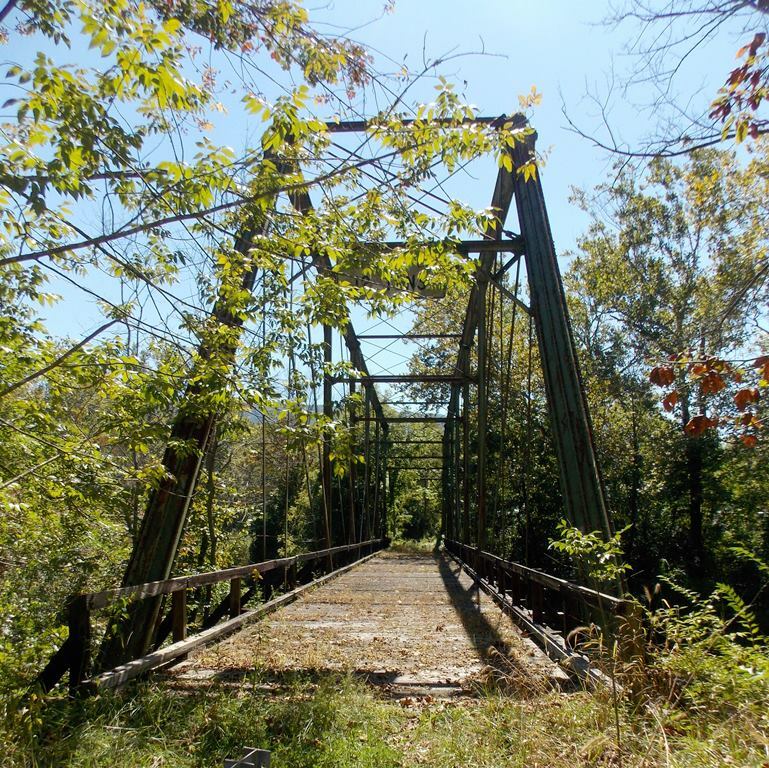 The bridge was posted to the National Register of Historic Places on January 7, 2011. Travel route: From Blacksburg we took Rt. 460 west to the picturesque little town of Narrows in Giles County where we picked up Rt. 61, crossed the New River, and followed Wolf Creek through the mountains of Giles and Bland County on our way to Bluefield, West Virginia. This was just one of the interesting sights along the way, typical of meandering the back roads of America. 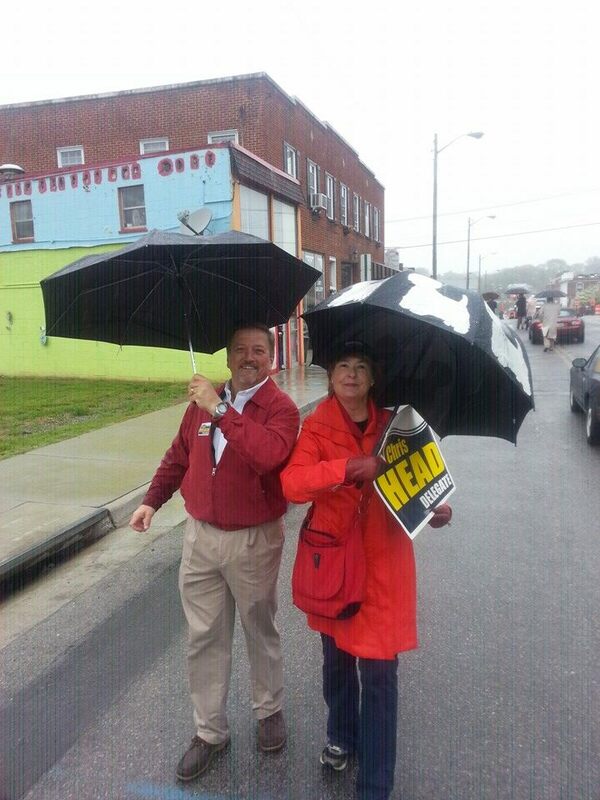 Delegate Chris Head and Trixie Averill during Saturday’s very rainy Vinton Dogwood parade. Ralph Smith: We Don’t Need No Stinkin’ Election! Virginia’s General Assembly prides itself on being populated by ‘citizen legislators.’ The implied meaning of that is the legislature is the people’s deliberative body. The people select its members. That’s why what is going on in Roanoke County-centric Senate District 19 is so troubling. You see, outgoing Republican Sen. Ralph Smith has cynically rigged the system to ensure his hand-picked successor – tenderfoot legislative aide David Suetterlein – would have no formal GOP challenge for the nomination. This brazen maneuver compels me to ask some uncomfortable questions. Since when do the political elites and power brokers pre-determine election outcomes by gaming the system in a way that denies voters expressing their will?